A go-to fashion piece made from 100% Real Leather and equipped with sleek modern silhouettes, featured to add uniqueness to day-to-day transitions. Sleeves and shoulders are embellished with quilting details while internal is lined with soft viscose for maximum warmth. 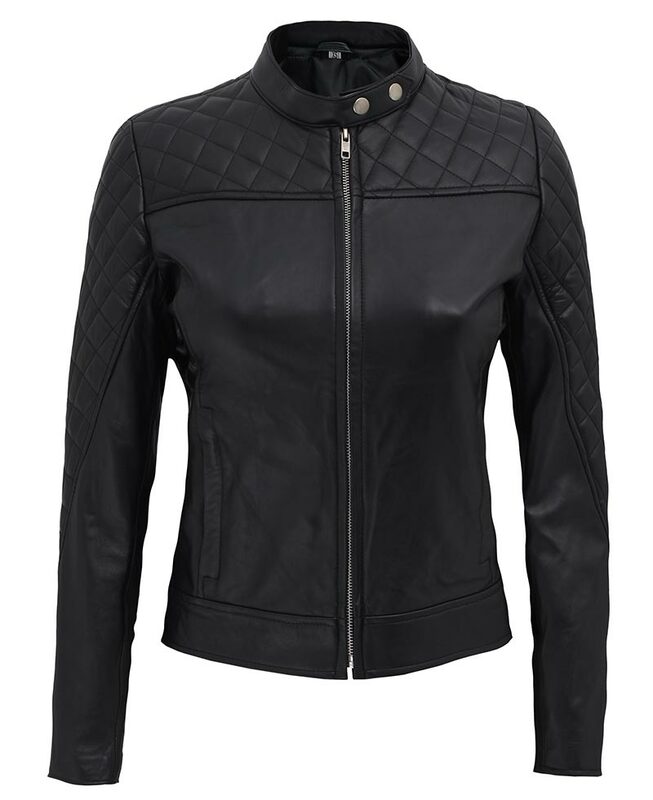 Your by default fashion will level up when you add this leather jacket women style with quilting detailing. A luxe item with features inspired by the latest trend. Shop the budget-friendly jacket and ready to transition like a chic girl. I bought it for my wife on our first wedding anniversary. This jacket was a great surprise for her an loves it a lot. Fits like the way she wanted. This is a must purchase fashion jacket. The quilted design on the shoulders is what makes it elegant. It is very comfortable, and I can efficiently work my routine tasks wearing this. I have got so many compliments on it, even one of my friend also borrowed it for her date night.